A new month means a new release and a new challenge! The "Think Spring" release is so full of super cute Spring and Easter images I'm sure it will be hard for you to choose a favourite - I know it was for me! I am happy to introduce you to "Garden Lamb". How cute are these two?! 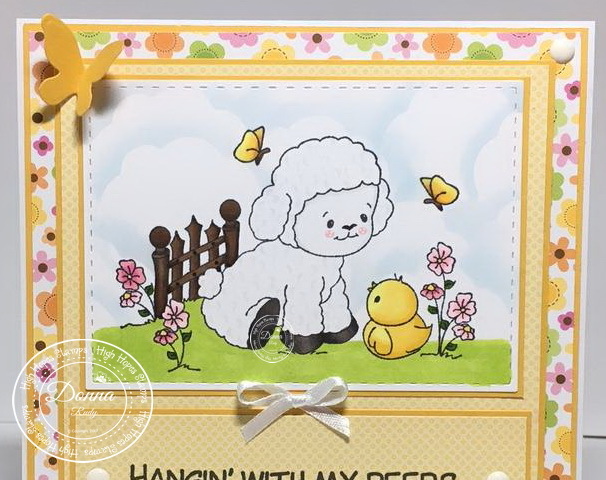 I can see him being used for a new baby, Easter or Spring card can't you? I chose to do him as a card to send just for fun. I used this month's challenge sketch (below) for my layout. After colouring the stamp with alcohol markers I cut it out using a stitched rectangle die. I cut my patterned papers from an older Doodlebug pad and then stamped my sentiment directly on to the paper. A die cut butterfly and of course my fav....gumdrops finish off my card. 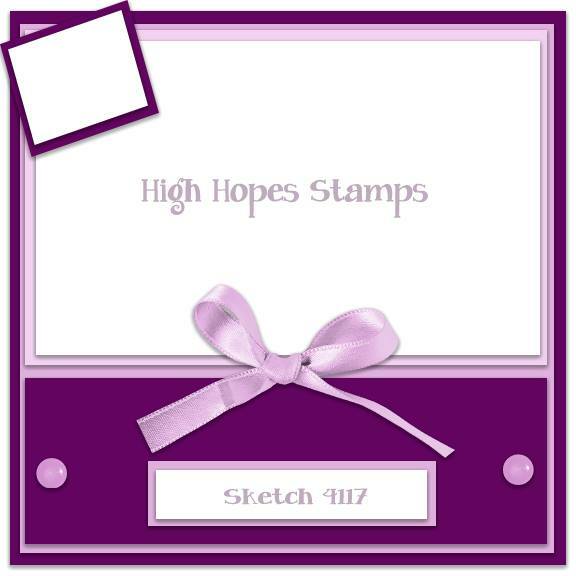 Join us for your chance to win 2 FREE High Hopes Stamps. This month all you have to do is "LEAVE A COMMENT"
Want to DOUBLE your chances to win? Leave a comment on this card's Facebook post & you double your chances of winning this month. Want to TRIPLE your chance to win? Add your card to the gallery in the linky & you triple your chances of winning this month. 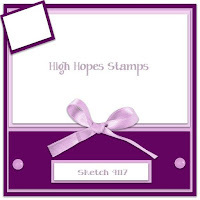 You MUST use a High Hopes Stamp to enter the challenge but if you don't currently own a High Hopes image yet please use our free digi to enter. If you like to play along using a sketch, this month's sketch is below. This is like the cutest little lamb ever!!!! It looks even better in person as you can see the detail you added to the fur better! Awesome as always! This is so cute Donna! Love the colours and details.